Dimitria Camp, 33, isn’t just another fit, attractive woman employed to sell gym memberships. Dimitria Camp, 33, lost 120 pounds through diet and exercise. Now she’s a shadow of her former self, a certified fitness trainer and the manager of Burn Boot Camp in Apollo Beach. Seeing her now, you’d never know she was 120 pounds overweight and lost them all through two and one-half years of diet and exercise at a boot camp in Hawaii. 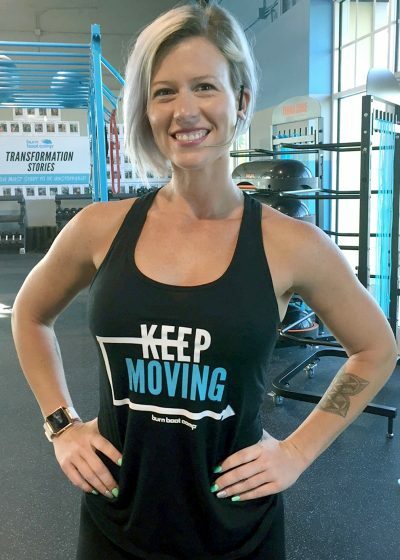 The former military wife is now a shadow of her former self, a certified fitness trainer and the manager of Burn Boot Camp in Apollo Beach. She spends her days helping others transform their lives. Unlike a traditional gym, Burn Boot Camp offers a well-rounded fitness program of high-intensity workouts led by one of four NCAA-certified personal trainers in a group setting; complete nutritional counseling; one-on-one focus meetings with a trainer; yoga; and free child care. Workout sessions vary daily, are unlimited and burn between 400 and 700 calories each. Burn Boot Camp trainers can modify any exercise to fit a member’s needs so there’s no need to feel intimidated. Debora Tichy, 62, of Ruskin, has been working out since August, when Burn Boot Camp offered pop-up introductory sessions outdoors before it officially opened in December. She’s lost more than 20 pounds and several inches. Icy Ohle is also a big fan. “Burn Boot Camp workouts are designed to maximize results in just 45 minutes. The program helps members lose weight, become more flexible, build core strength and alleviate pain. It’s for women of all ages. The 30-year-old Riverview resident signed up for a year-long membership, works out five times a week and has gained muscle while losing weight. Morning camp sessions are as follows, Monday through Friday: 5 a.m. Express Camp, and then every hour from 5:30 to 10:30 a.m.
Weekday-afternoon, co-ed camp sessions are 4:30, 5:30 and 6:30 p.m.
Yoga is offered by Dena Baxley Mondays and Wednesdays at 11:30 a.m. and Wednesdays only at 7:30 p.m.
On Saturday, there’s a workout for members at 8 a.m., and then a free one open to the public at 9. Members can join for three, six or 12 months. 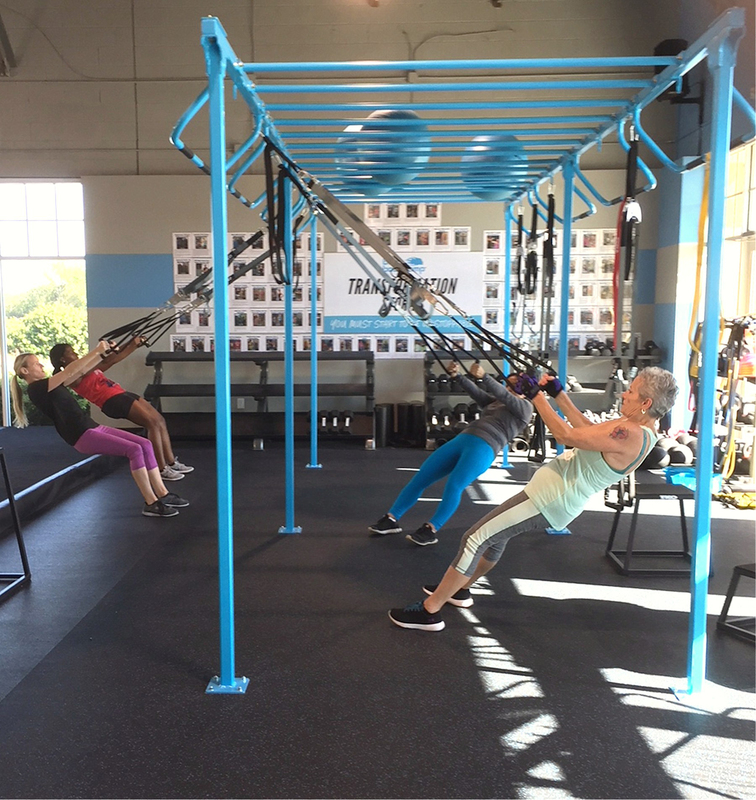 Burn Boot Camp, 106 Harbor Village Lane, Apollo Beach, offers a free, 14-day “test drive” of unlimited workouts, free childcare, personalized nutrition guidance and one-on-one support from a personal trainer. To sign up, visit www.burnbootcamp.com/south-shore-fl. For more information, visit www.burnbootcamp.com, email southshorefl@burnbootcamp.com, or call 919-240-8224.